Recently, both patients and families have voiced their need for resources specific to eating disorders. Patients have also made multiple inquiries to staff for eating disorder-specific resources as well as leisure resources, such as CDs and novels. The UNC Dance Marathon Grant will provide an easily accessible library of resources that would facilitate independent discovery for both patients and their families. The UNC Dance Marathon is a student-run nonprofit organization at the University of North Carolina at Chapel Hill. It is the largest student fundraiser on campus and works year round to raise money to benefit the patients and families of N.C. Children’s Hospital. These fundraising efforts culminate in a 24-hour celebration where hundreds of UNC students show their support for the patients and families by standing on their feet for the entire event. Money raised by The UNC Dance Marathon primarily supports the “For the Kids” Fund. This fund helps with costs not covered by insurance or Medicaid, providing families with necessities such as gas cards, phone cards, meals and rent that they are challenged to afford due to the costs of their child’s hospitalization. With these needs covered, parents can focus on their child’s health and well-being during an already difficult time. Through these grants UNC-DM is able to fund a variety of initiatives within N.C. Children’s Hospital in order to fulfill its mission of improving the quality of life for the patients and their families. This year, thanks to a grant written by Kelly Marrale, our own Recreational Therapist, and the UNC-DM will be providing a divisional grants to support the development of the Eating Disorder Family Patient and Family Resource Library. 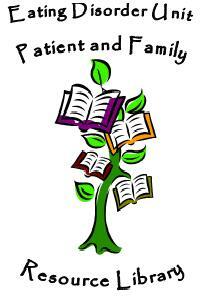 The Patient and Family Resource Library is currently being established on the Inpatient Eating Disorders Unit at UNC Hospitals. The library will provide educational and leisure resources for both patients and their families that will serve to educate, inspire, and provide pleasurable experiences through books, music, and other relaxation tools. We hope that these resources will have a direct and positive effect on enhancing support to patients who are recovering from an eating disorder and their families. These resources will help patients to use their time between scheduled programming by selecting appropriate resources of interest. These resources will also provide an opportunity for both families and participants to educate themselves about eating disorders, thus empowering both child and parent through the multitude of challenges they will meet through the recovery process. At UNC, we are proud of our commitment to caring and our dedication to the patients and family members under our care. Being awarded these monies only further emphasizes the dedication UNC has for all youth in our program. In selecting the Eating Disorders Program, UNC Dance Marathon saw a unique opportunity to enhance, inspire and empower family and youth recovering from an eating disorder. These funds will create a solid foundation library which we will expand in the years to come. Rose Gray and Kelley Marrale of the Department of Recreational Therapy and Child Life are currently in the process of purchasing and organizing materials to be placed in the library this spring and summer. ← Lace up your shoes and join the triangle community in the fight against eating disorders!